A pioneer and very popular system plugin to replace all Joomla default icons both on front-end and back-end (admin area). Easy to use and highly customizable. Works with any Template and need no knowledge of coding. Replace default Joomla! logo everywhere with control for Logo width and height. 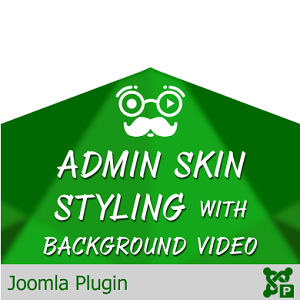 Now supports background video. Can add custom text and links also.